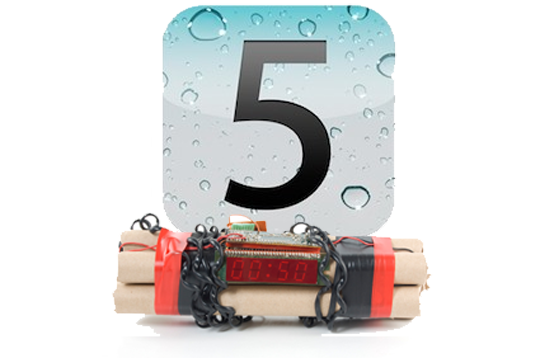 One thing most people tend to find out the hard way after installing beta copies of iOS is that the software comes bundled with a time bomb. Each release is set to expire on a specific date. The date for the last beta of iOS 5 to expire is Friday October 21, 2011, otherwise known as TODAY! Failing to update before the expiration date typically means your phone is pretty useless. You are left with an inoperable device and forced to restore to a newer version. If you haven’t backed up your data lately, this can be pretty traumatic. If you should find your self holding a brick instead of your normal Angry Bird slinging device, try not to worry too much. @MuscleNerd and The iPhone Dev Team has got you covered! The group has dropped a custom release of redsn0w (Limited-Edition b7b) that allows iOS beta users to backup all of their data before upgrading to the GM release of iOS 5. The process is pretty straightforward. Simply download and run redsn0w b7b and select the option “Jailbreak”. You can uncheck the rest of the option boxes and sync your device. Once done you can update comfortably, knowing your BFF’s phone number isn’t lost forever.